If you want to get the party started, here is the album to get the job done. 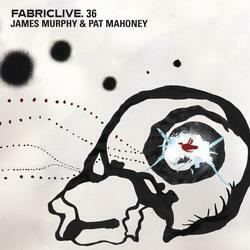 Fabriclive.36 features James Murphy and Pat Mahoney on this release of electronic disco to minimal disco. The Fabriclive.X repetoire features a new artist release on a regular (if not monthly) basis out of the Fabric night club in London. These works are compliations of artists spun up for the night club dance crowd. Fabric is the brainchild of founders Keith Reilly and Cameron Leslie—featuring three separate rooms totaling over 25,000 square feet, independent sound systems, and a body sonic dance floor. Murphy and Mahoney are a couple of American born and bread boys from Wonder Breadland America who learned at tender ages what music was all about. Moving through the “my dad wanted me to play sax” and the garage bands, these two guys now share a spot on the DJ listing at Fabriclive. The music is dance, dance, dance, and more dance. That’s not a bad thing when you really need a great dance disc to get folks moving. The high energy mix was well received by everyone in the house; these guys do a great job of generating sonic energy and moving it right through. And it sure made Saturday morning chores go a heckuva lot faster too! I have an enormous nonsexual crush on James Murphy. Nice review of a stellar album! !